The cutting-edge modular steelwork solution known as Framo became siFramo in April 2017. VIP Ltd are proud to now offer this superb product as part of our growing Expansion range. 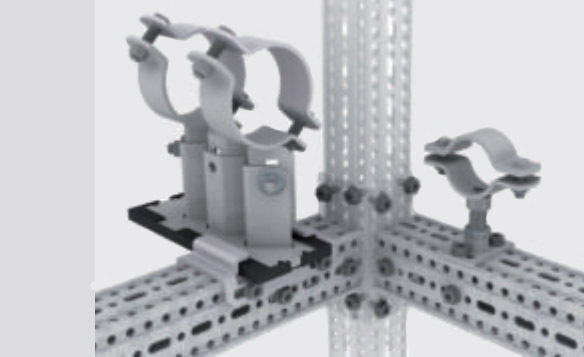 siFramo (previously known as Framo) is a patented, certified Modular Framing System suitable for supporting structures according to EN 1090 and flexible frame constructions. It has been successfully installed in various projects worldwide and used for different applications for many years. More than 1 million meters of Framo beam sections have been installed. 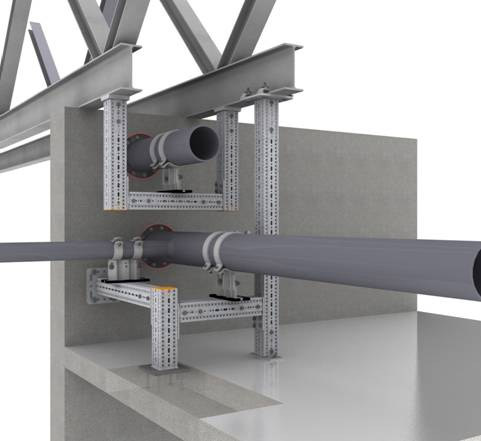 siFramo is a non-welded steelwork support system for the modular construction of frames and structures. It utilises light weight components which are manufactured to the highest standards in high quality steel, weighing from only 5.1kg per metre. These are connected with easily adjustable thread forming shake-proof fasteners. 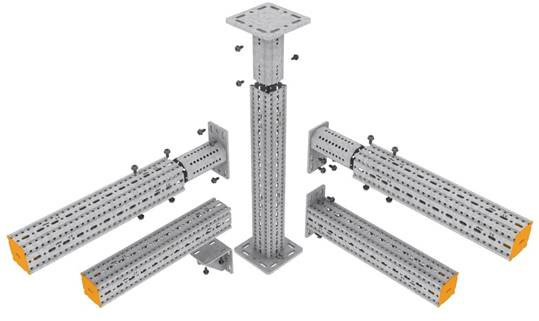 siFramo allows multidirectional connection possibilities without the need for through-bolts and back-plates. 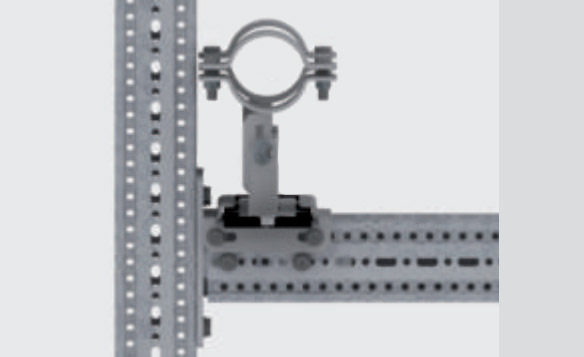 The box section profiles have a high torsional resistance and a fine adjustment capability for connecting members. siFramo is assembled via thread forming screws. The non-cutting cold formed threads of the screw form their own threads to pilot holes of the perforated Framo profiles. The low thread forming torque and resulting high clamping force, offers a superior process-reliable shake-proof fastening. The thread forming screws are removable and can be used again. No nuts or back-plates at member joints. No obstruction to adjacent member connections. Full utilisation of profile surface. 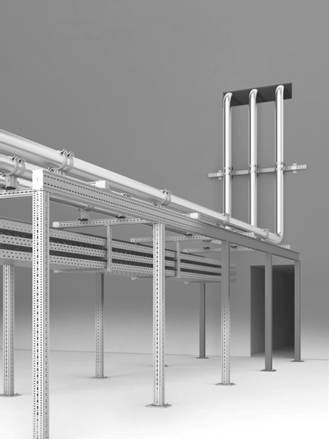 In addition to the high torsional resistance achieved using a totally closed profile, structural elements and pipe supports can be attached on all 4 sides with virtually no placement restrictions. Specifically designed fixing holes combined with special FLS self-tapping screws. We respond to 95% of online Expansion enquiries within 4 working hours. Why not give us a try? Click here to send us your enquiry!